Neurodegenerative diseases have always been a problem for the scientific and medical communities because of how difficult they are to treat. 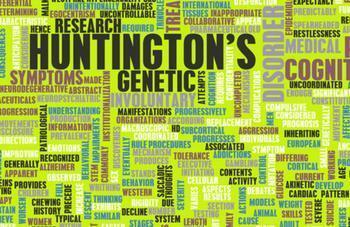 Some diseases, like Huntington’s, currently have no treatment options that can stop or slow its progression. But a potential new treatment for the disease may be on the horizon thanks to scientists at the Gladstone Institutes. Researchers there have found that using a process called phosphorylation can help prevent symptoms of Huntington’s disease by changing a key protein to be less toxic and damaging. Being able to change this one protein could make all the difference for those suffering from Huntington’s disease. Up to this point, the disease was caused by a faulty gene that forced the “Huntingtin protein” to fold up incorrectly. This folded protein causes a lot of damage to surrounding cells, and it is not a problem that our bodies can deal with on their own. However, using phosphorylation allows the protein to be changed so that the body can dispose of it more easily. Researchers tested the process in mice models with positive results. “I was shocked at the profound effect phosphorylation had on the Huntington’s model mice. They showed few signs of the motor dysfunction, depression, or anxiety that are characteristic of the disease. In most of our tests, they were virtually indistinguishable from healthy mice,” said first author Dr. Ian Kratter. The researchers believe that this process could also be potentially beneficial for treating other neurodegenerative diseases. “Phosphorylation helps control how proteins fold and the systems in cells that clear proteins. This is exciting because a lot of work we’ve done points to these protein removal pathways as being important not only for Huntington’s disease, but also for other neurodegenerative disorders. Understanding how phosphorylation links to these pathways could help treat several different brain diseases,” said senior investigator Steve Finkbeiner. The researchers are currently working towards finding a way to mimic the effects of phosphorylation so that it can be used in drug form. The full study has been published in the Journal of Clinical Investigation.